An incense offering ceremony was held in the northern midland province of Phu Tho on April 14 (or the tenth day of the third lunar month) to commemorate the death anniversary of Hung Kings, the legendary founders of the nation. Attended the event were National Assembly Chairwoman Nguyen Thi Kim Ngan, officials from the Communist Party of Vietnam (CPV) Central Committee, and leaders of ministries, departments and localities, as well as Vietnamese people at home and expatriates. The death anniversary of Hung Kings has long been considered a significant day of the whole nation, illustrating the spirit of solidarity and tradition “when drinking water, remember its sources”. The participants prayed for national peace, prosperity, and strong development. 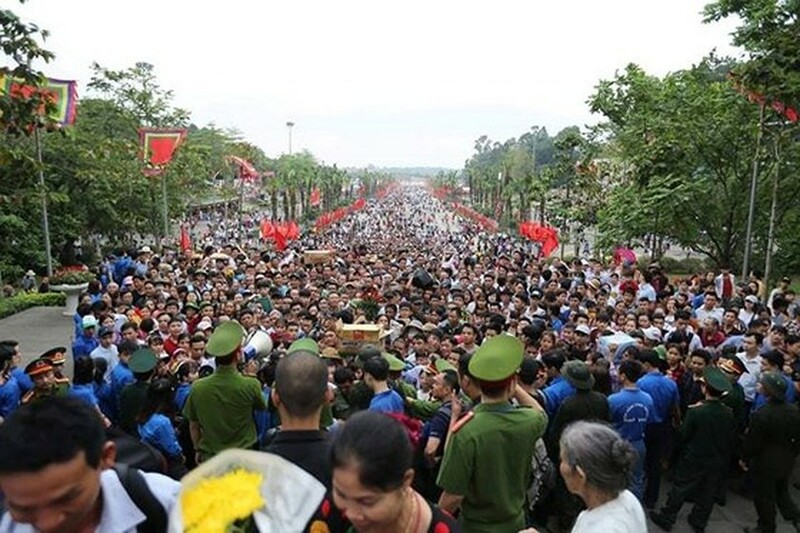 Chairman of the provincial People’s Committee Bui Van Quang highlighted the significance of the day as well as the remarkable achievements that the whole Party, army and people have gained in the cause of national reform, integration, and development. After offering incense at Thuong Temple, NA Chairwoman Ngan and delegates laid wreaths at Hung Kings tomb. 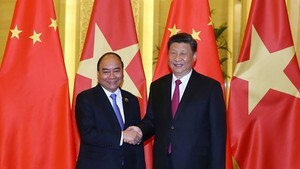 Phu Tho along with the Mekong Delta city of Can Tho, the central province of Nghe An, and the northern province of Son La representing different regions across the country has actively carried out plans in celebration of the death anniversary of Hung Kings and Hung Kings Temple Festival in 2019. Various kinds of activities have been taking place during the day such as palanquin processions, contests to make “Banh Chung” (square glutinous rice cake) and “Banh Day” (white, flat, and round glutinous rice cake) – which were created by the 18th prince of Hung King some 3,000-4,000 years ago – symbolysing the “earth” and the “sky”, respectively, and art and cultural programmes. 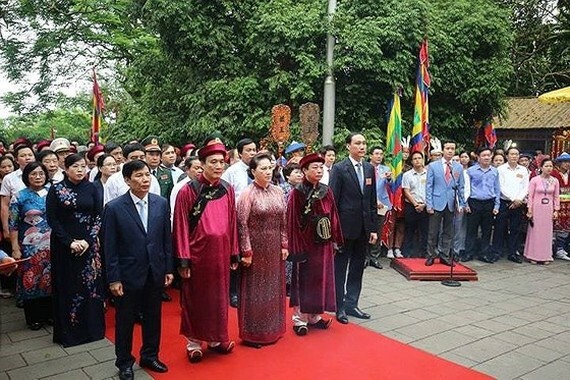 A ceremony offering incense and flowers to Hung Kings was held the same day in Ho Chi Minh City with the presence of Politburo member Nguyen Thien Nhan, Secretary of the municipal Party’s Committee. The kings chose Nghia Linh Mountain, the highest in the region, to perform rituals devoted to rice and sun deities to pray for healthy crops. 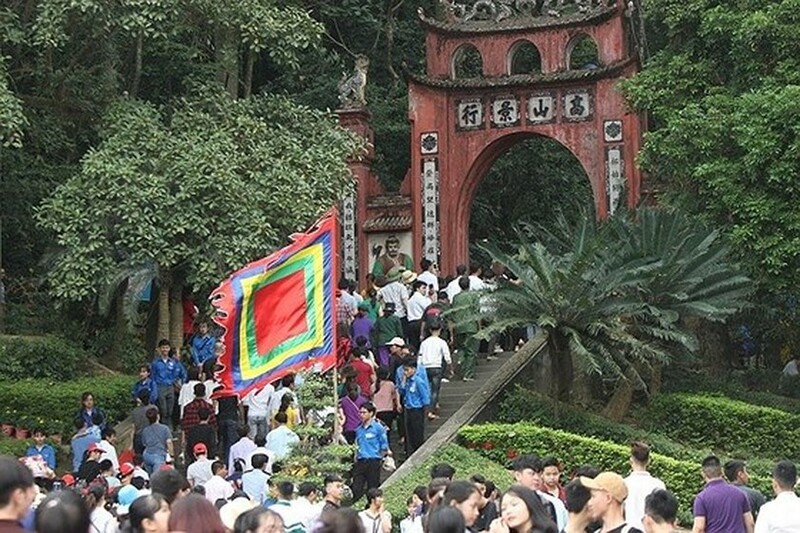 To honour their great contributions, a complex of temples dedicated to them was built on Nghia Linh Mountain, and the tenth day of the third lunar month serves as the national commemorative anniversary for the kings. The worshipping rituals of the Hung Kings was recognised as a UNESCO Intangible Cultural Heritage of Humanity in 2012. Hung Kings death anniversary Phu Tho province legendary founders of the nation.